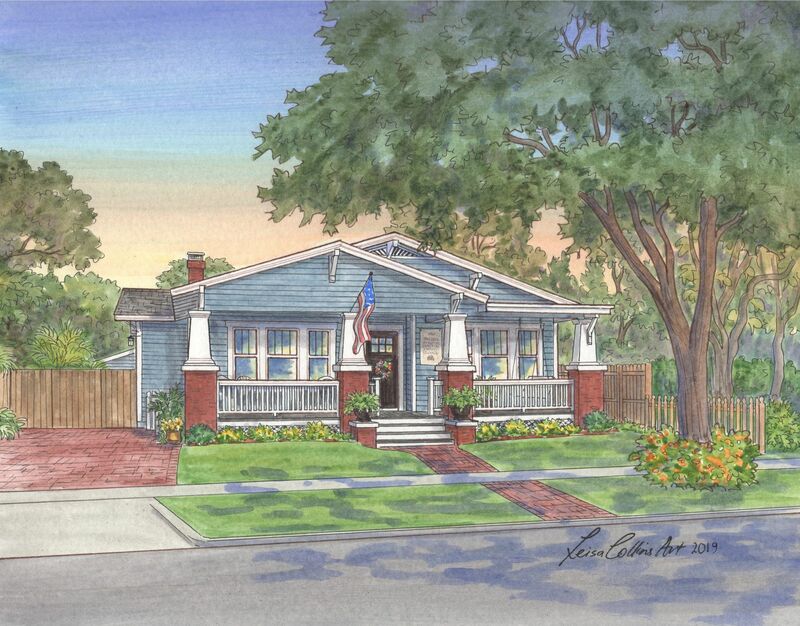 Craftsman, Bungalow, Tudors, Ranches and tasteful new builds… Tampa has it all! What a diverse architectural experience Tampa has proven to be! I had no idea of the number of interesting architectural gems that were hidden in the city;s leafy tree-lined streets and historic urban avenues. 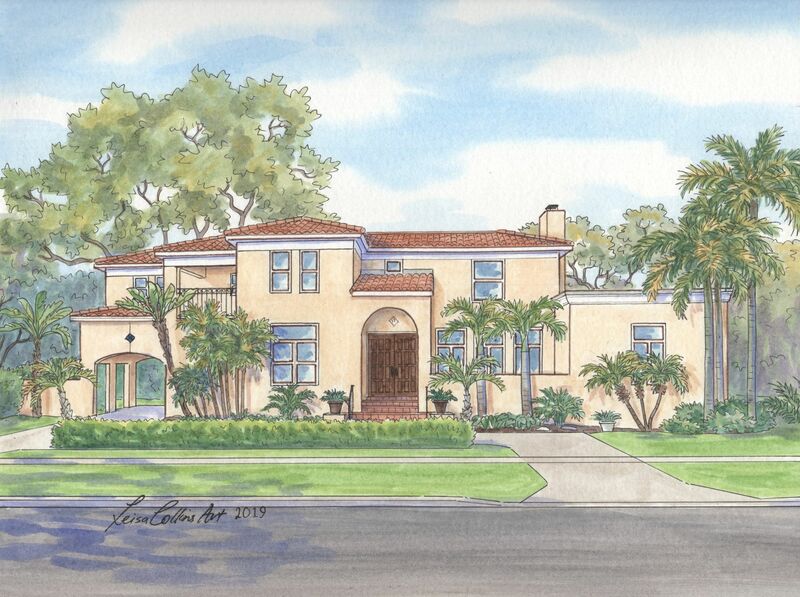 I started my Tampa house portrait series two years ago and feel I now have a eclectic and interesting mix of architectural styles in my collection. I will be including my favorites in the Tampa section of my coffee table book that will be released later this year. 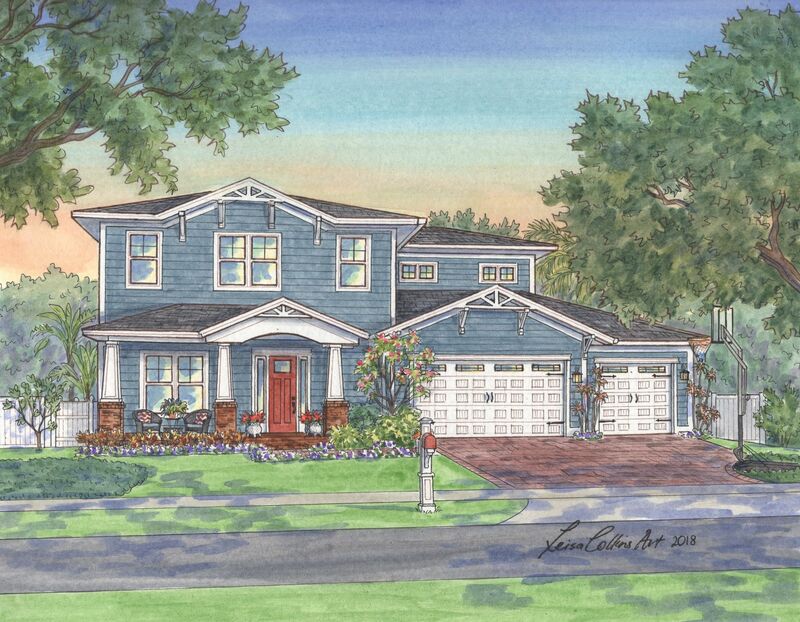 In the meantime I wanted to show off this lovely array of homes that depict the best of Tampa and show the pride and care that Tampa residents, and now clients, have for their homes. 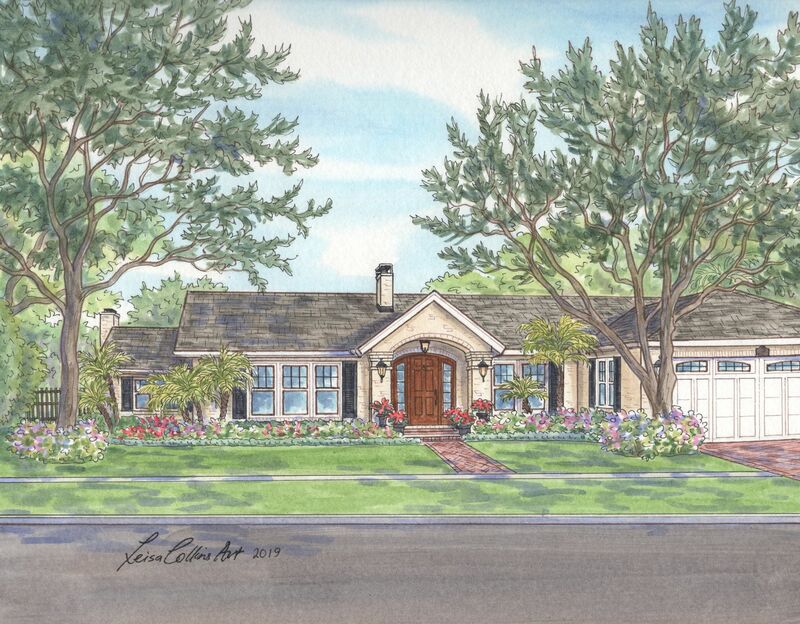 In addition to restored historic homes I discovered and selected mid-century Ranch style homes and bungalows and I also carefully selected newly built homes that I feel serve as a examples of homes that fit into the community and neighborhood. 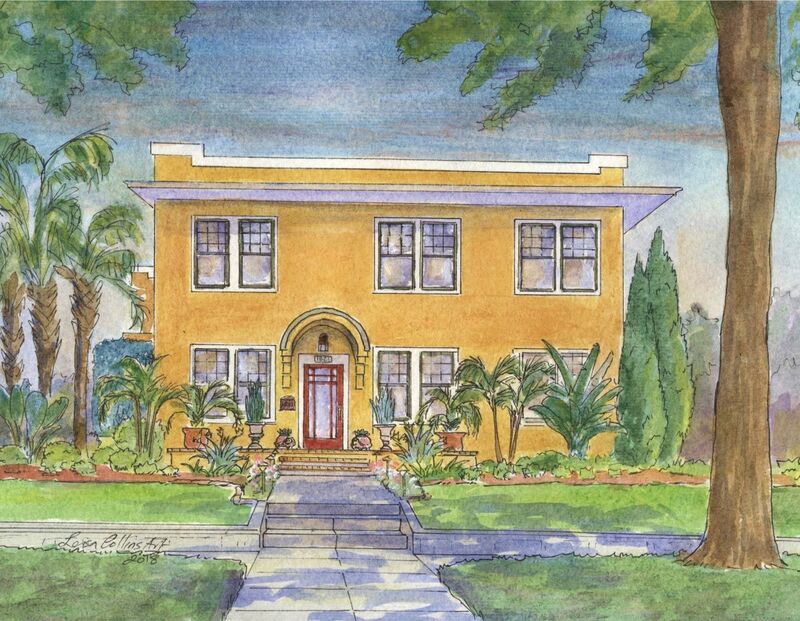 With Tampa’s rich cultural history and the founding of areas like Ybor City, which brought many Cubans, Italians, Spaniards, and many other immigrants, architecture is diverse and colorful, which I hope is reflected in my portraits below. Here is my Tampa series, broken down by the neighborhoods that I focused on. 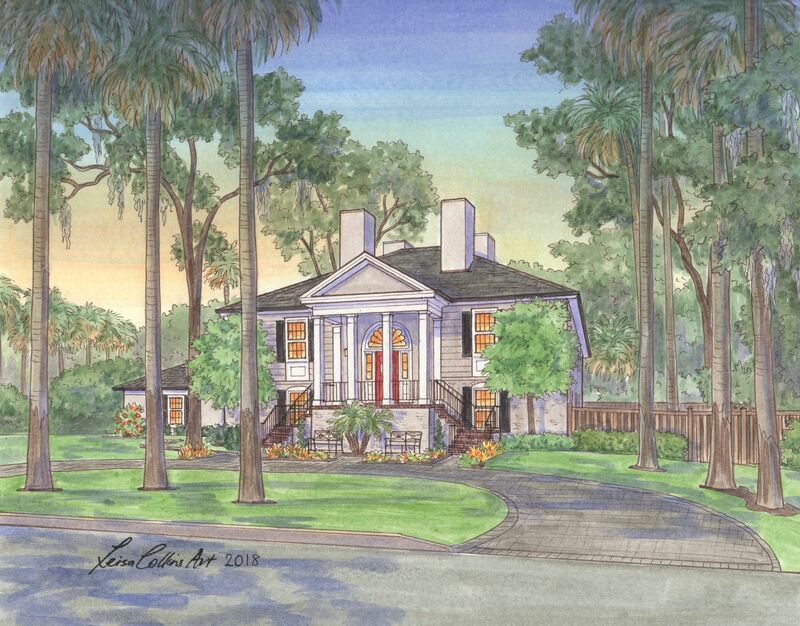 Hyde Park is well known for its winding streets lined with century old oak trees and is one of the oldest Tampa neighborhoods, being established in the 1880s by Henry B. Plant, a tycoon in the railroad industry. While walking through this neighborhood, you can really feel it’s historic roots and see the pride the homeowners have in their properties. This neighborhood sits right by the water and holds the world record for the world’s longest sidewalk, fun fact! 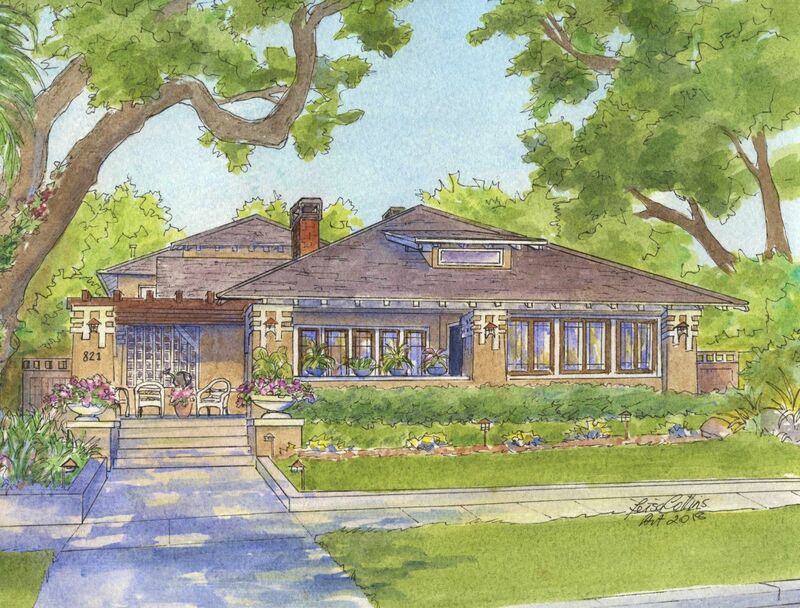 A historic bungalow in the Hyde Park neighborhood. 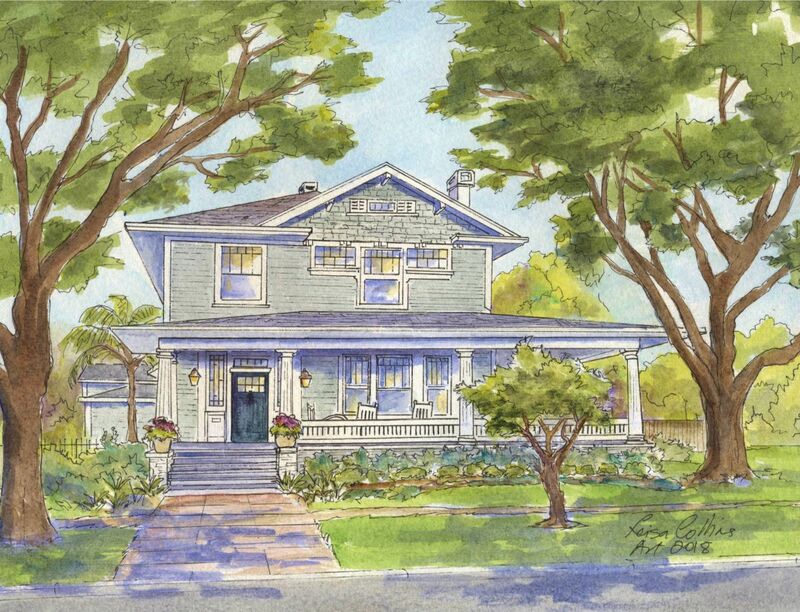 A classic historic Craftsman home. 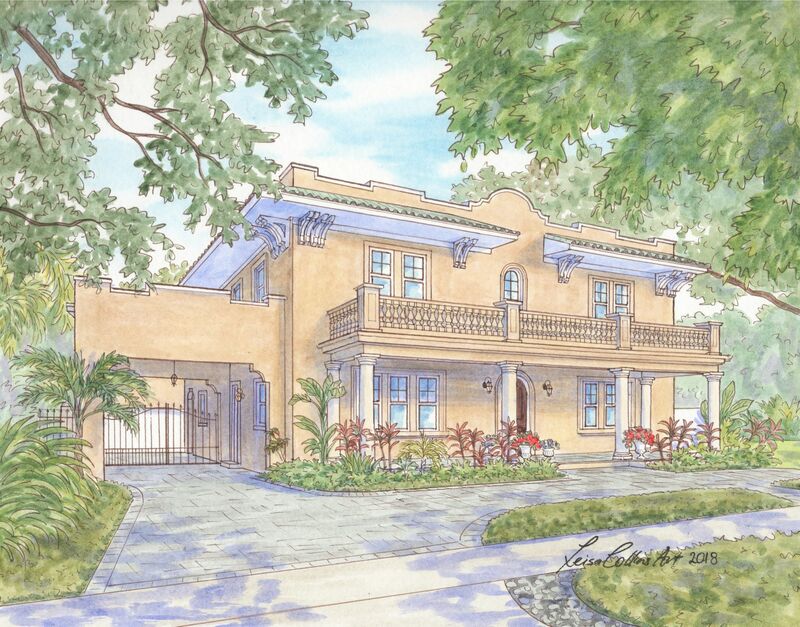 This bright Mediterranean style home adds a splash of color to the Hyde Park neighborhood. 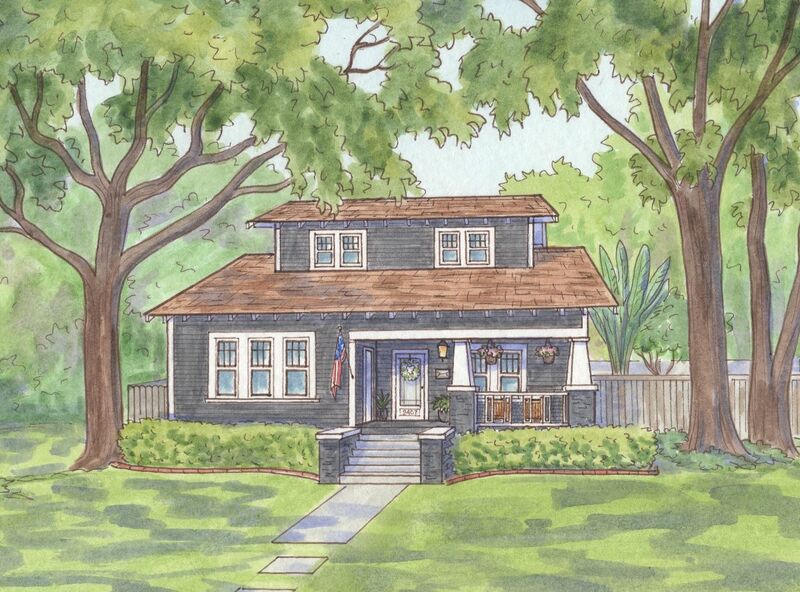 A historic Hyde Park Tampa bungalow with unique design features. A final historic Craftsman selection from the Hyde Park neighborhood, with a bright yellow door. 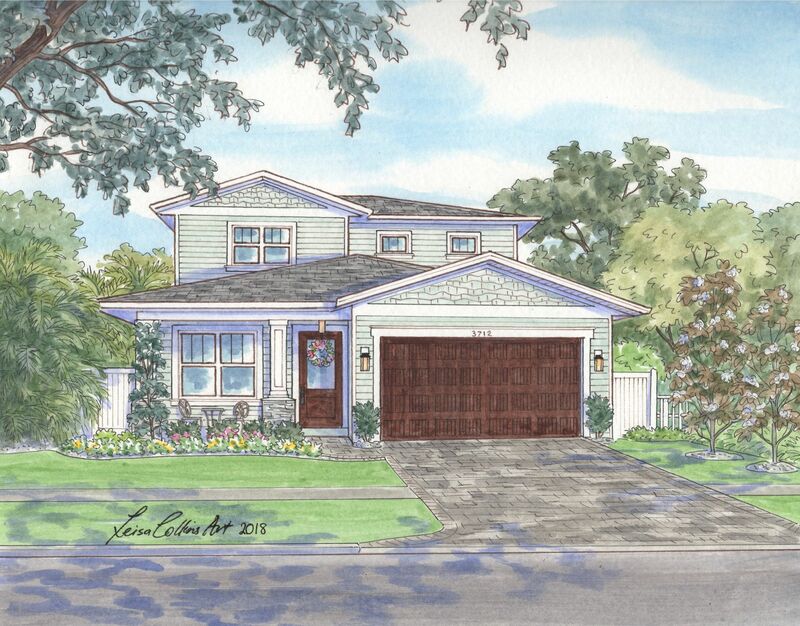 Bayshore Beautiful is exactly as its name suggests – beautiful! There have been many comparisons between this neighborhood and Hyde Park, with its long, tree-lined sidewalks and immaculate landscaping. The majority of the homes in this neighborhood were constructed in the early 1920’s. There is a rich variety of styles, including Spanish Revival, Mediterranean, Tudors, Colonials, Craftsman, Ranches and modern style homes. 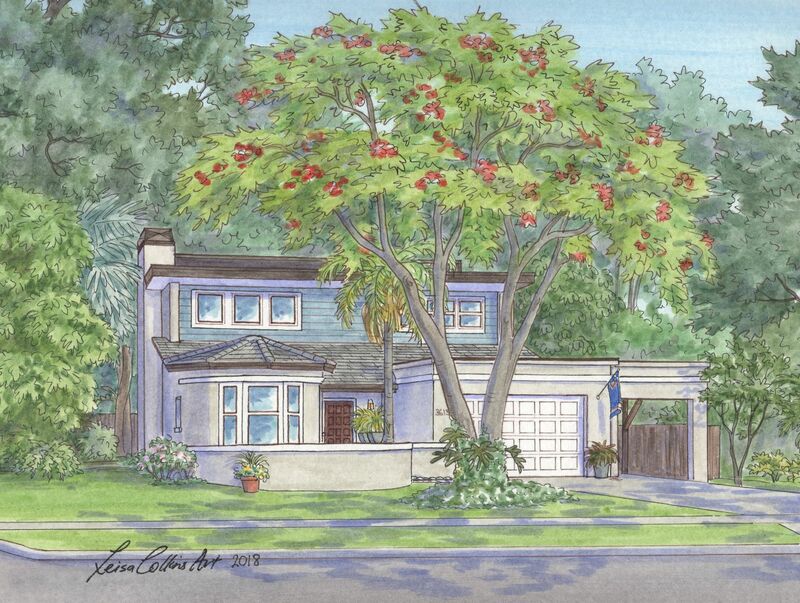 A eye-catching Mediterranean style home – the mature Oaks give character. 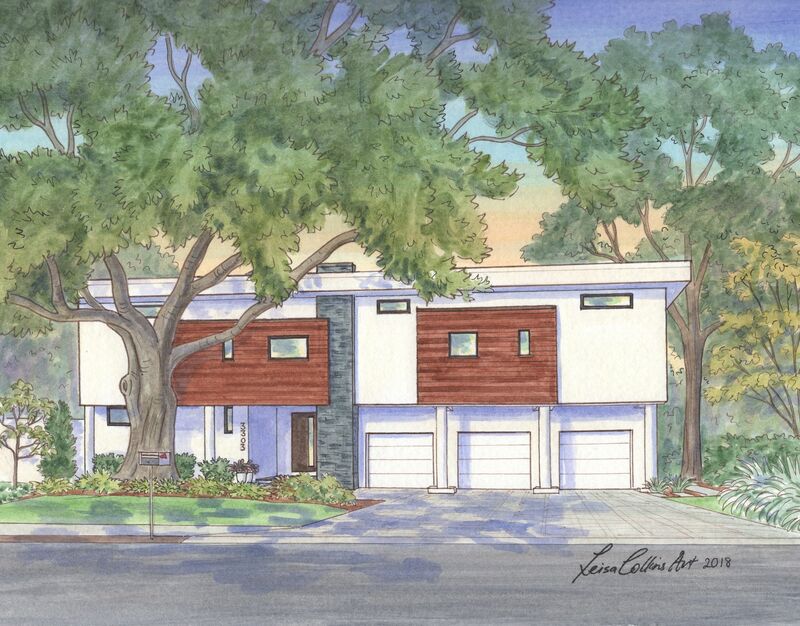 A rare and interesting modern style home in Bayshore Beautiful. 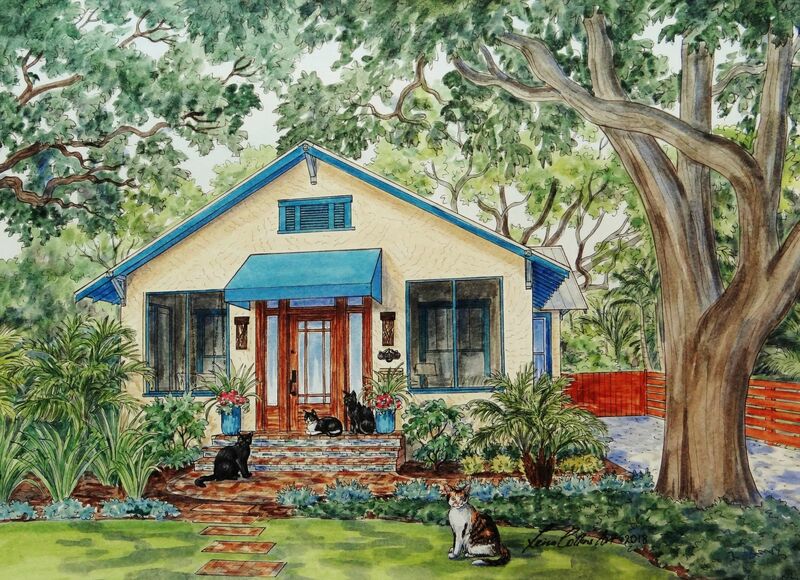 These four furry residents enjoy the landscaping around this Bayshore Beautiful bungalow. 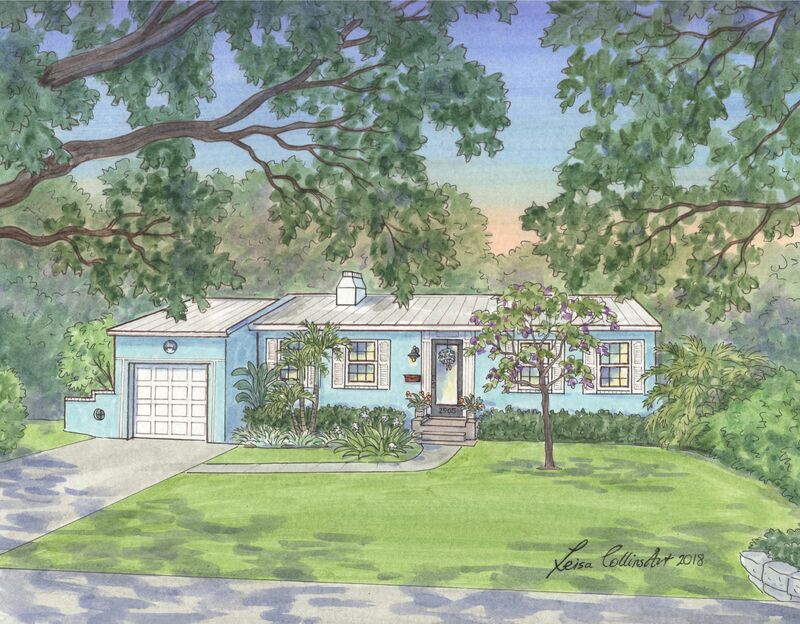 The classic seashore colors of this Tampa bungalow make it look right at home in the Sunshine State. 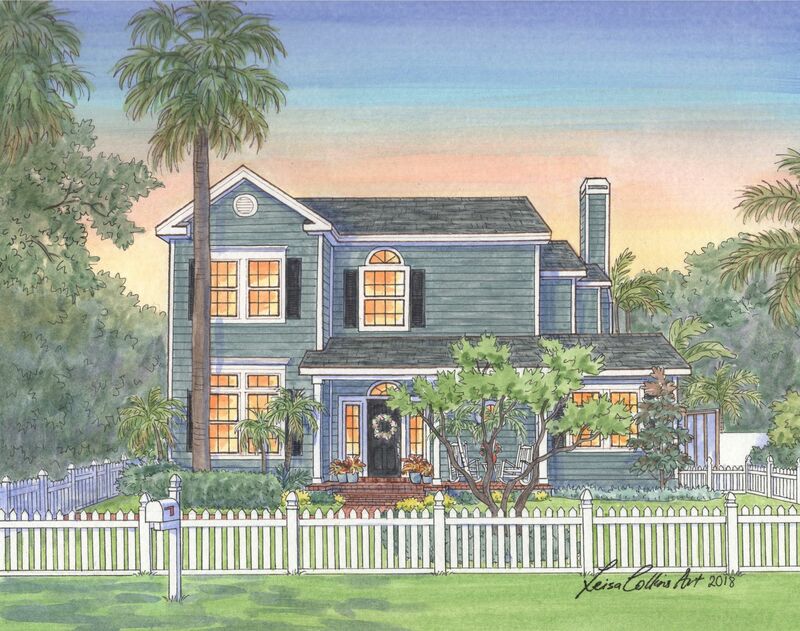 A traditional picket fence for this Tampa home. 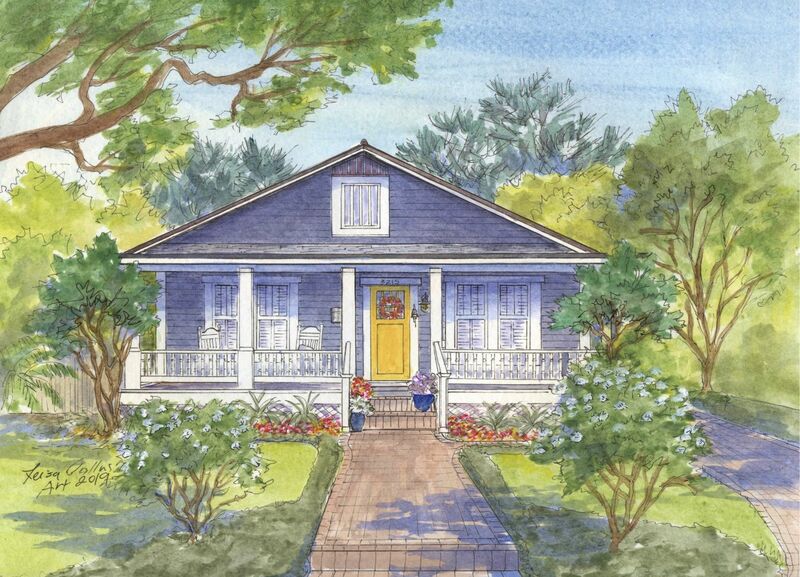 The pop of color from the landscaping gives a warm feel to this fine Bayshore Beautiful bungalow home. 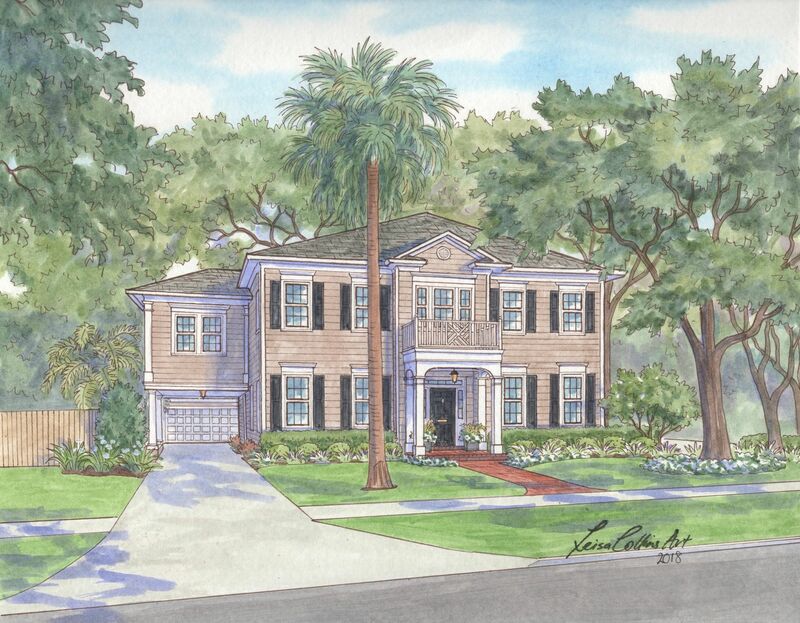 I selected this newly built Tampa home due to its unique features. 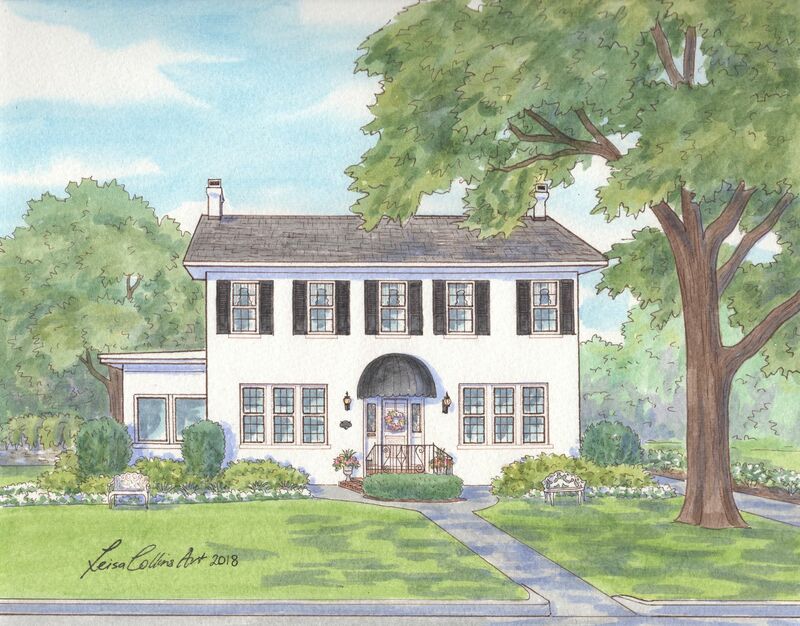 Another Colonial Revival house portrait. 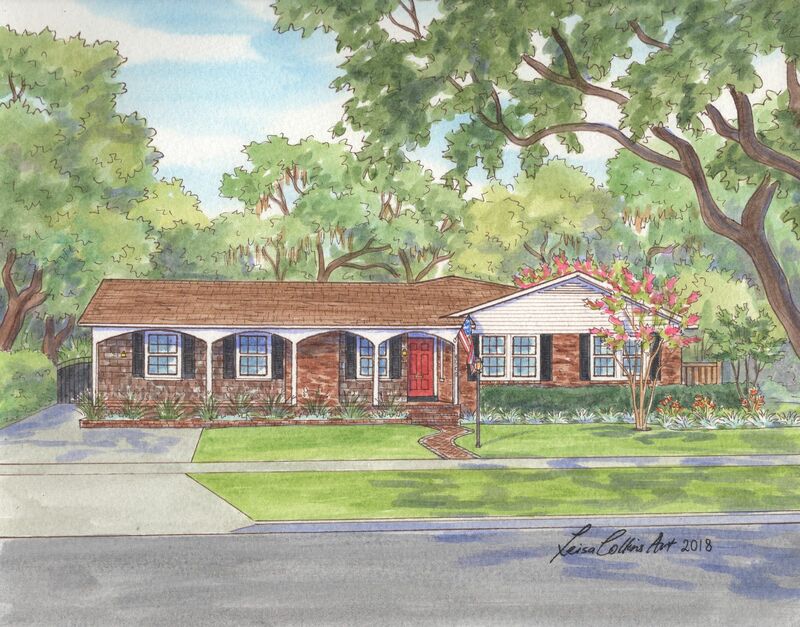 I especially like the variegated brick of this well loved Ranch style home. 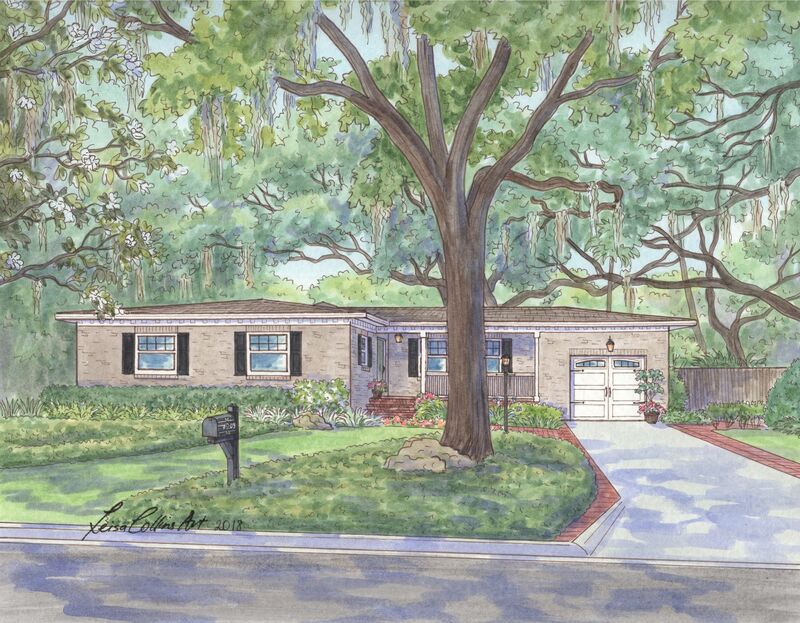 A beautiful Mid-Century home in the Bayshore Beautiful neighborhood. 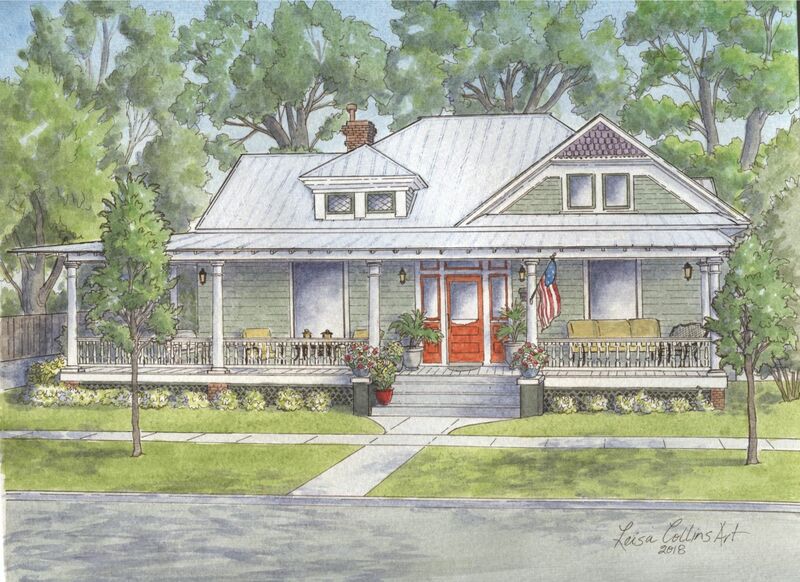 I like the iron fence and large open front porch of this Bayshore Beautiful home. 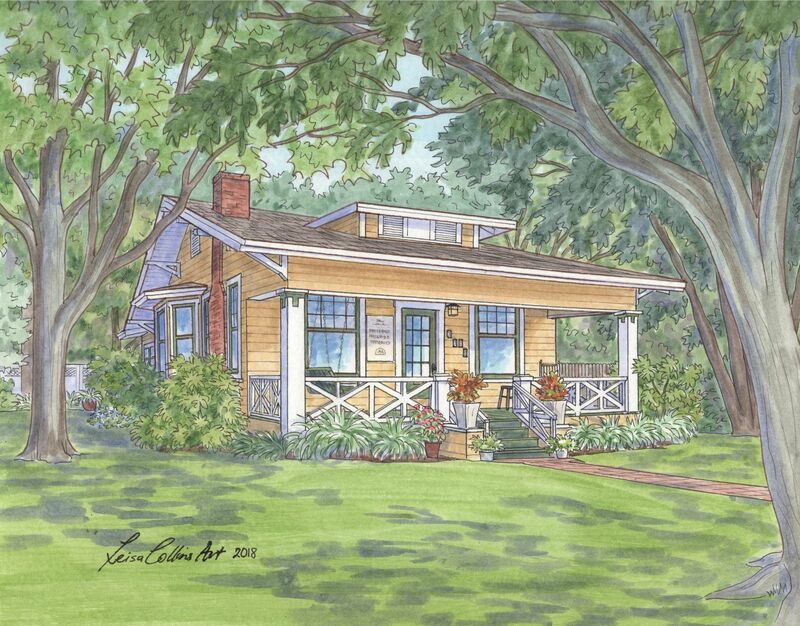 And last, a cheerful original cottage home. For me, one of the most attractive aspects of Florida is its lush, tropical greenery and Beach Park is a perfect example of this. Lots of old knotted oak trees, beautiful azaleas, palm trees, and many other native plants. I read that before being developed in the early 1920s, this Tampa neighborhood was once a jungle of these plants and trees that still flourish there today. 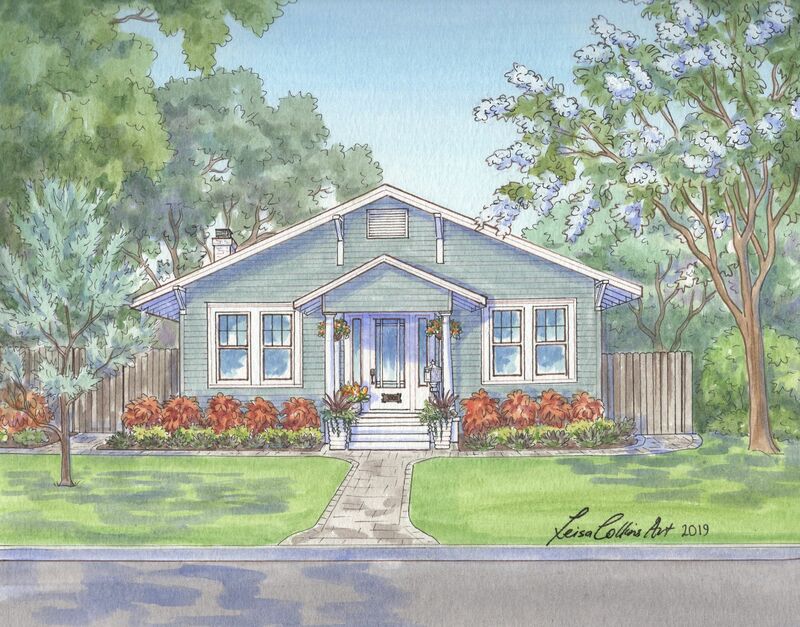 When the original homes were built, there were strict requirements for what materials were allowed – solid masonry construction was the only option. This is due to the fact that there was not a fire department nearby at this time. As most of the homes are inspired by Mediterranean styles, you can still see many terracotta roofs and beautiful decorative tiles that were used in the original construction. The final touch of grandeur on this neighborhood has to be the beautiful Moorish style gates that were added in 1924. These gates stretched high and used to be visible all the way across the bay in Pinellas County. 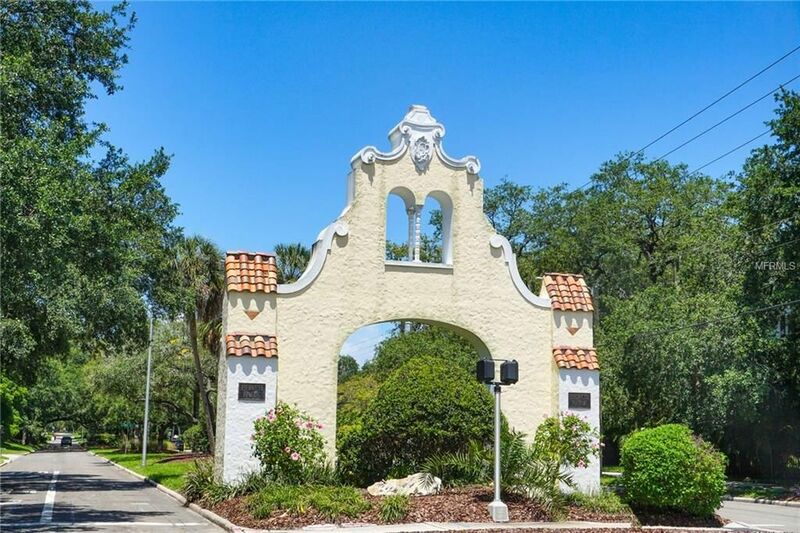 Today, there are still a small set of gates that stand at the entrance of this historic Tampa neighborhood, such as the one pictured below. An elegant Beach Park home. 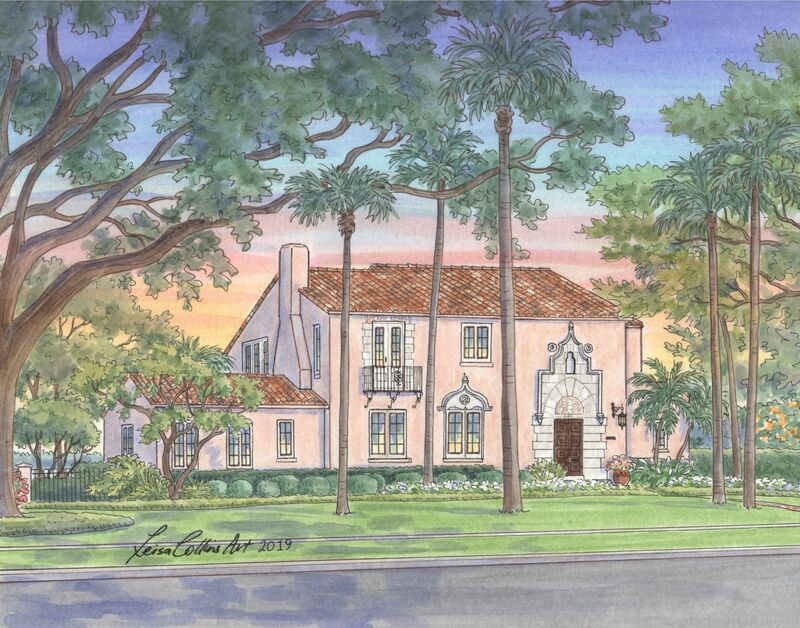 A Spanish Colonial house portrait in Beach Park. 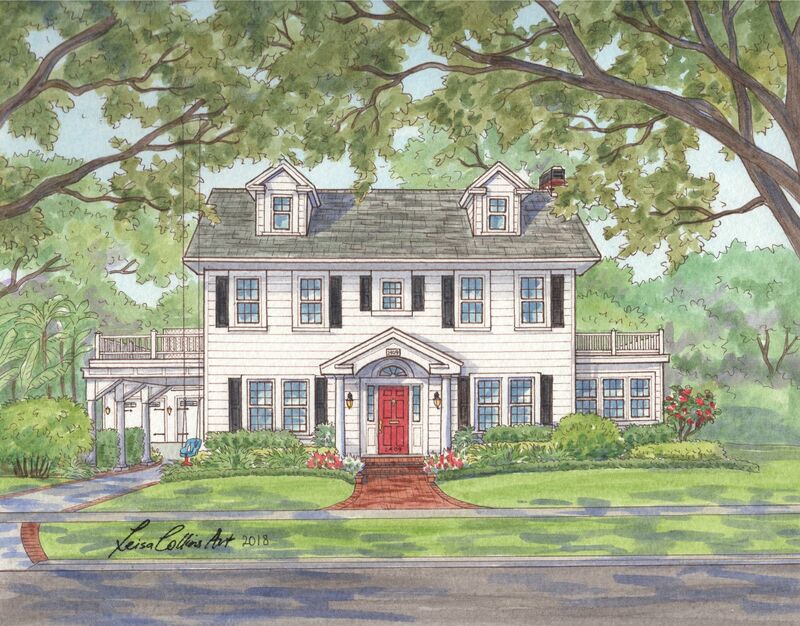 A Beach Park neighborhood Colonial Revival. The bright red door on this open Ranch style home drew me to it while cruising through Beach Park. 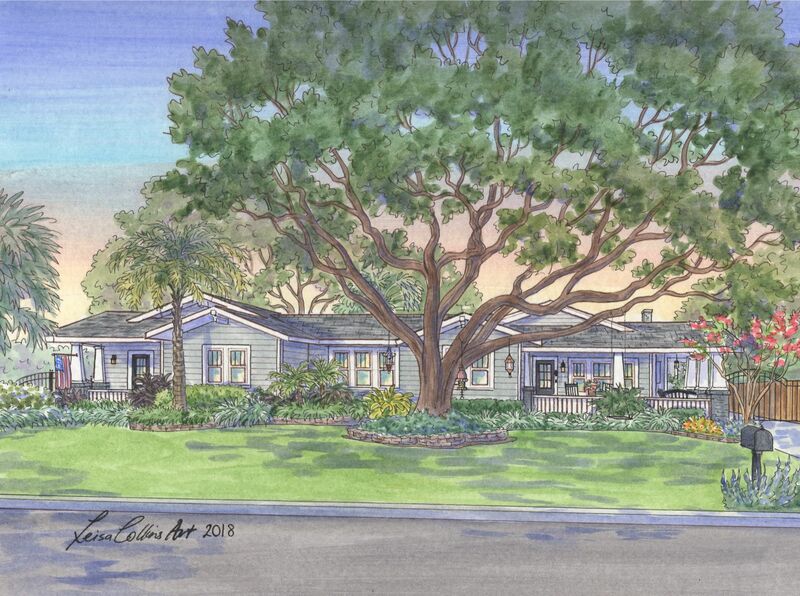 Grand Oaks and Spanish Moss add to the appeal of this Beach Park Ranch home. 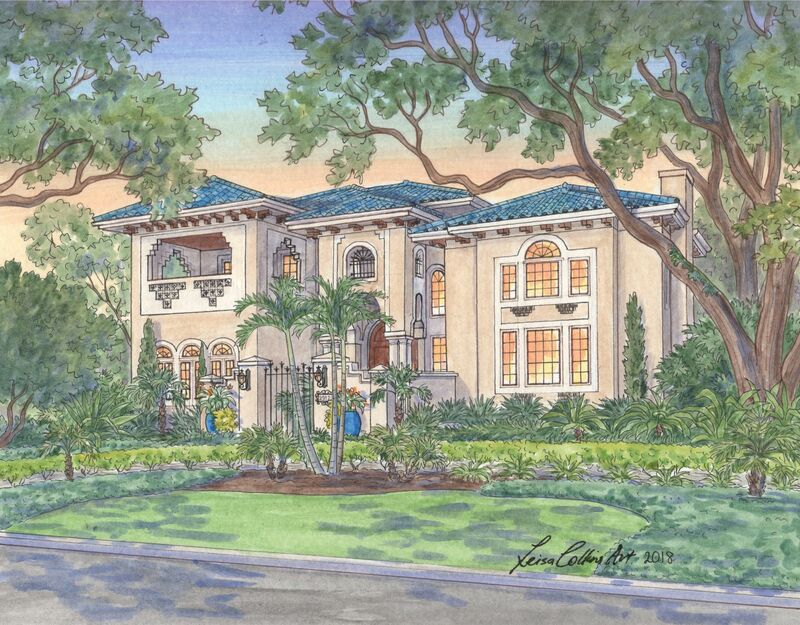 A large Mediterranean style home to finish off my Beach Park selections. I fell in love with Davis Islands the moment I arrived. While situated in the heart of Tampa, I felt that I had entered into an island paradise, away from the traffic and bustle of metropolitan Tampa. I read about its history while relaxing with a coffee at DI Coffee Bar and its quite fascinating. The two islands of Davis Island were constructed upon two man-made islands which were in turn built on top of two small natural islands. They were formerly known as “Little Grassy Key” and “Big Grassy Key” and are situated at the mouth of the Hillsborough River. 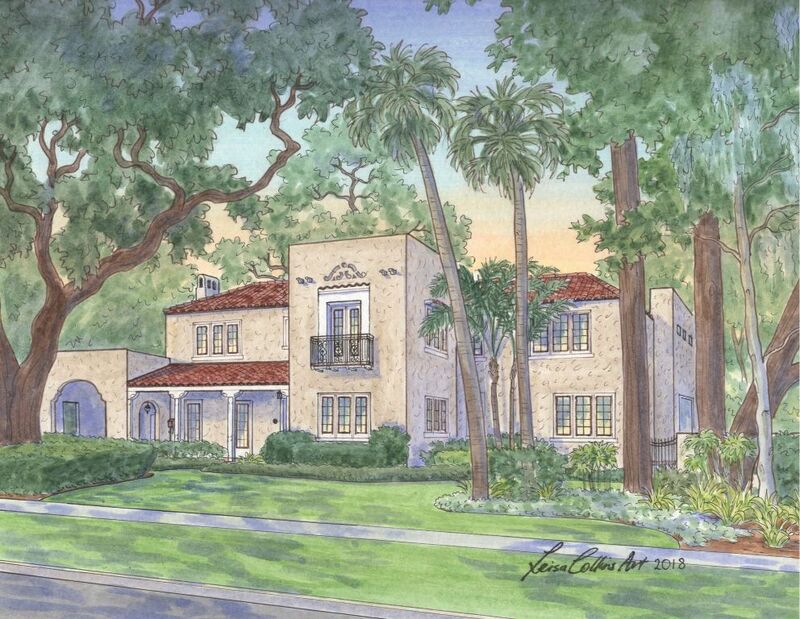 As with many other Tampa neighborhoods, Mediterranean-style homes are abundant, and several buildings, like the Palace of Florence, have received National Historic Designation. An interesting Davis Islands home. 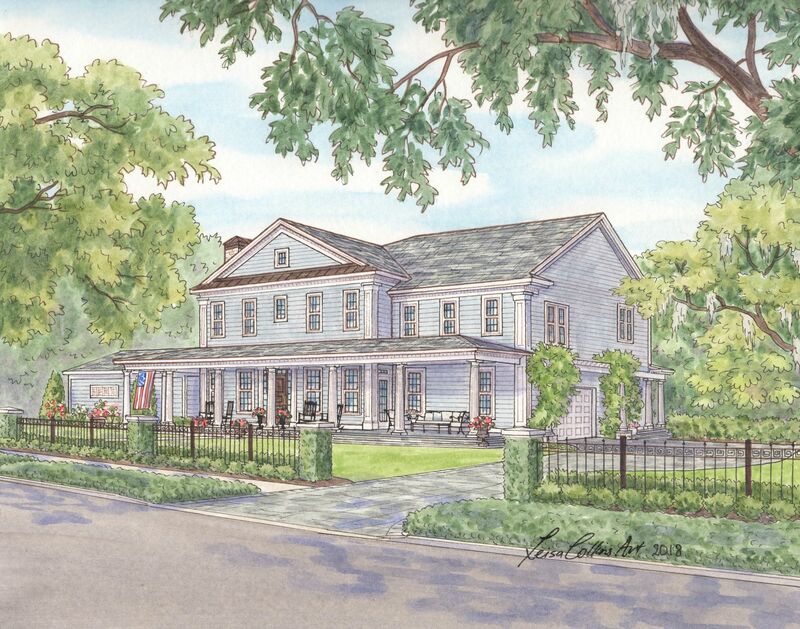 The architecture of this home has many Mediterranean influences. 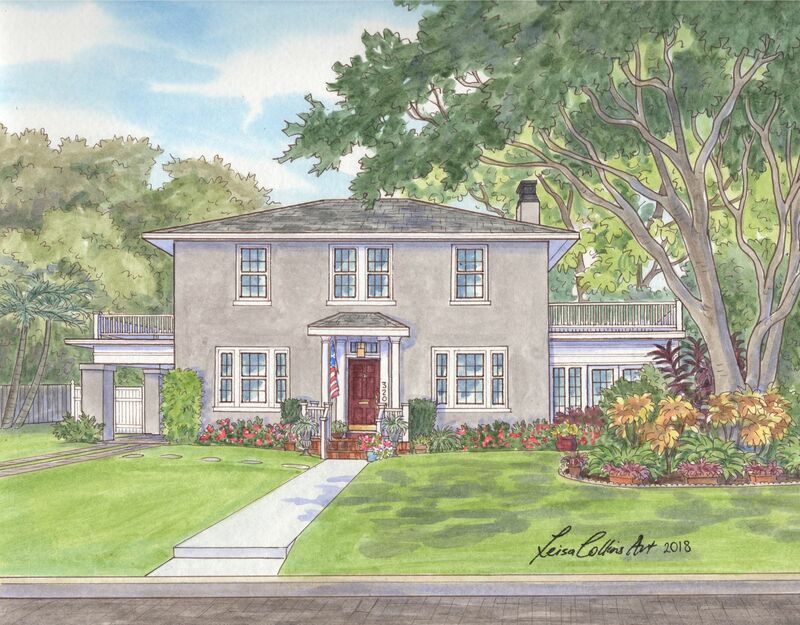 A stunning historic home ion the water of Davis Islands Tampa, Florida. 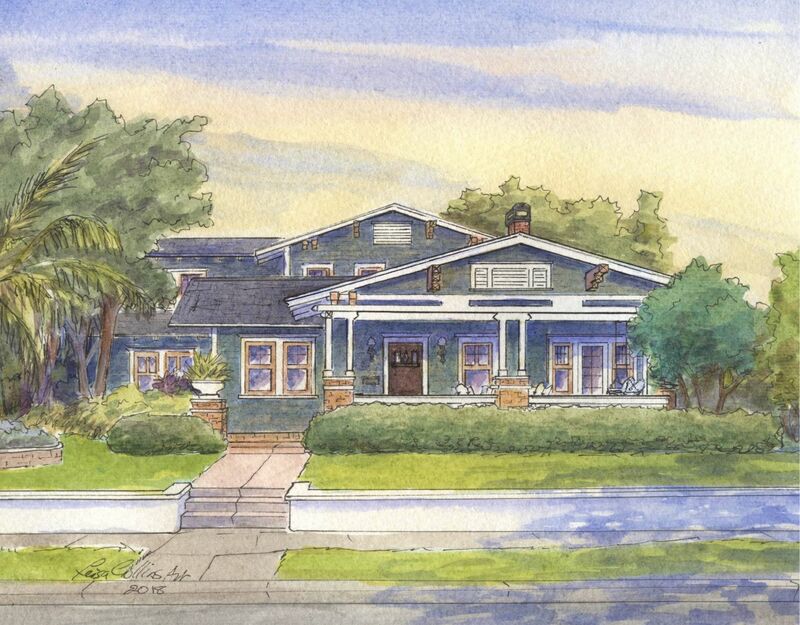 A Davis Islands Mediterranean home which has many interesting facets. This neighborhood has an interesting array of historic homes, from classic 100-year-old bungalows to larger Craftsman and Colonial homes. 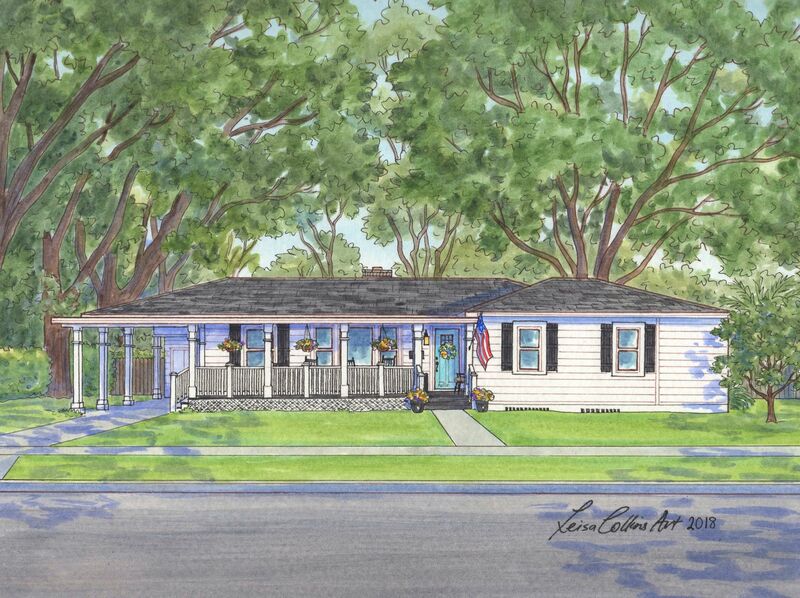 I discovered some well-loved Ranch style homes as well. In researching this further, the street names throughout Palma Ceia are of Cuban origin, coming from streets in the old section of Havana. Per Wikipedia, historians say the most likely explanation is that Angel Cuesta, president of Cuesta, Rey Cigars, shared a map of Havana with developer Thomas Palmer while discussing the area. It is well known for its bricked streets, similar to those in Ybor City. It has a great array of restaurants and coffee houses which we enjoyed. 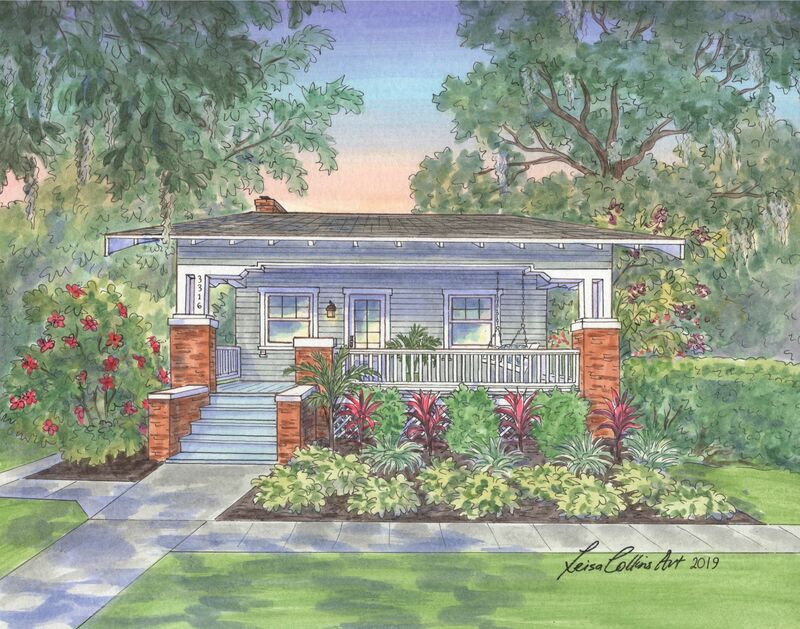 A historic Palma Ceia bungalow with great landscaping. 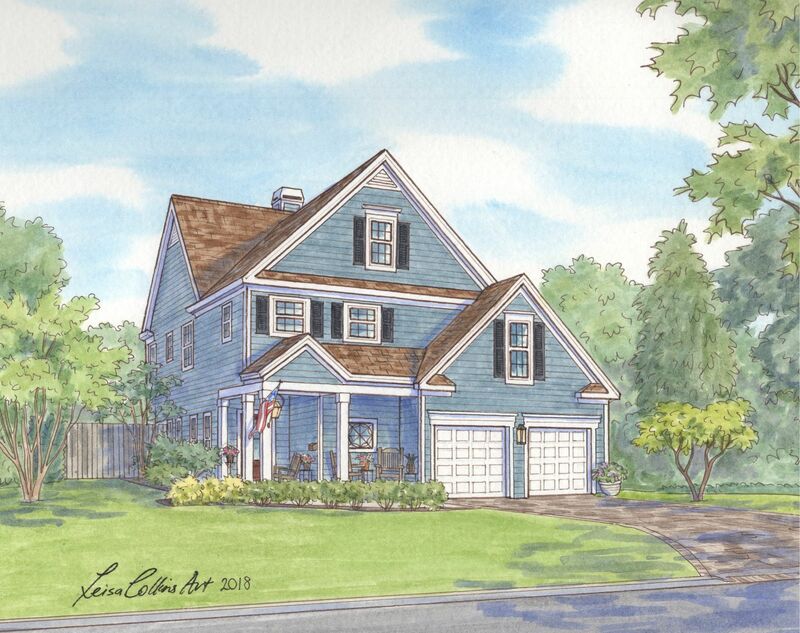 A historic Colonial style house. 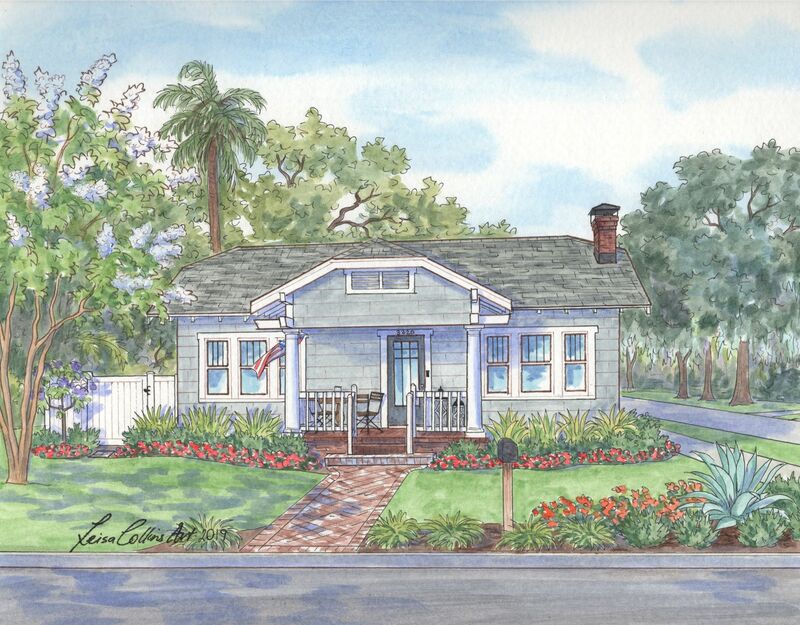 Palm Ceia has no shortage of charming historic bungalows! The happy yellow of the door and interesting landscaping of this bungalow give it a welcoming feel. 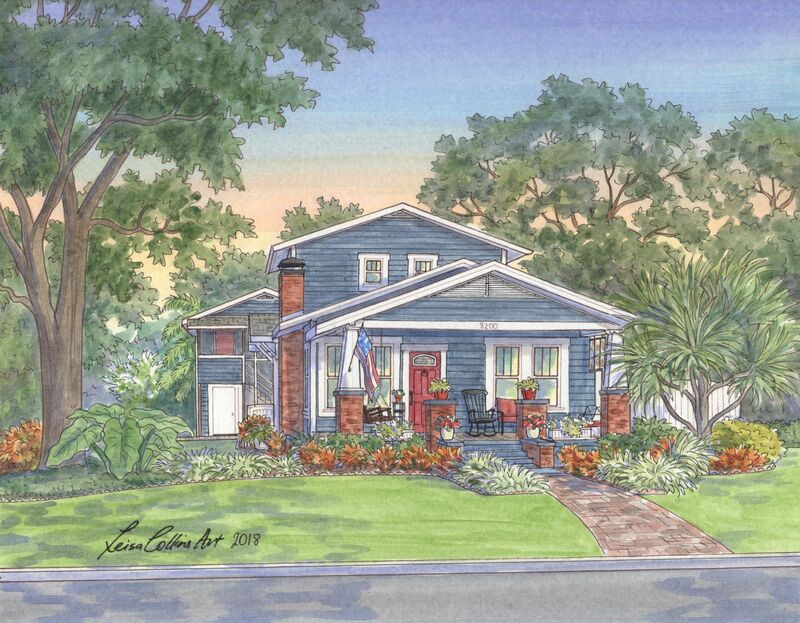 The brick pillars compliment the blue siding of this Tampa Craftsman. 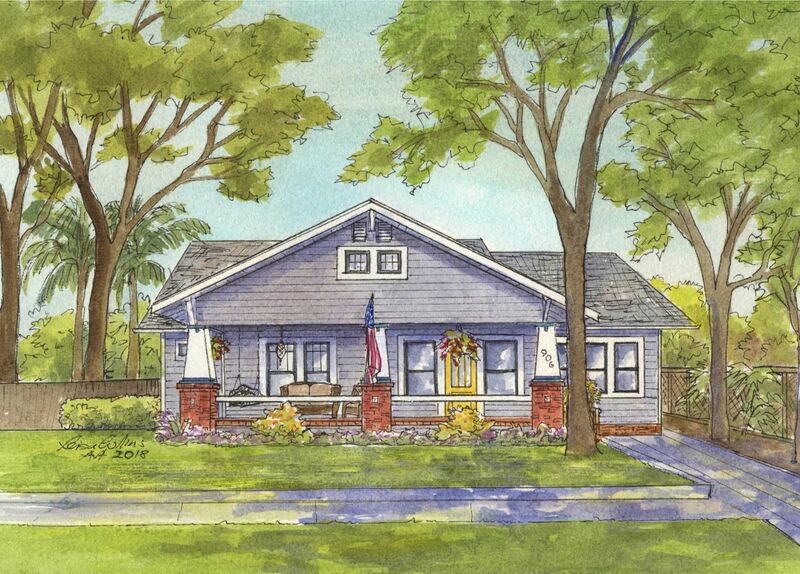 Another favorite – a historically recognized Tampa bungalow. 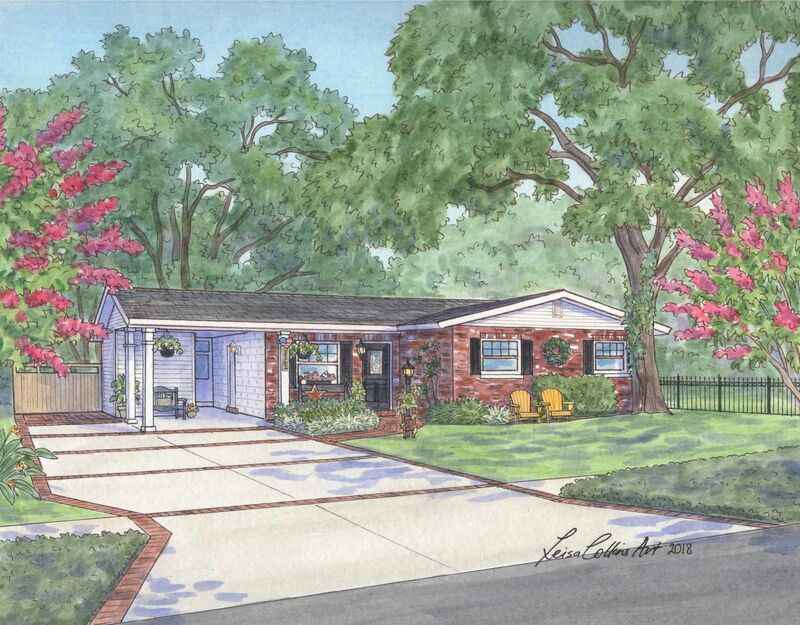 Another example of a Ranch style house with class in Palma Ceia. 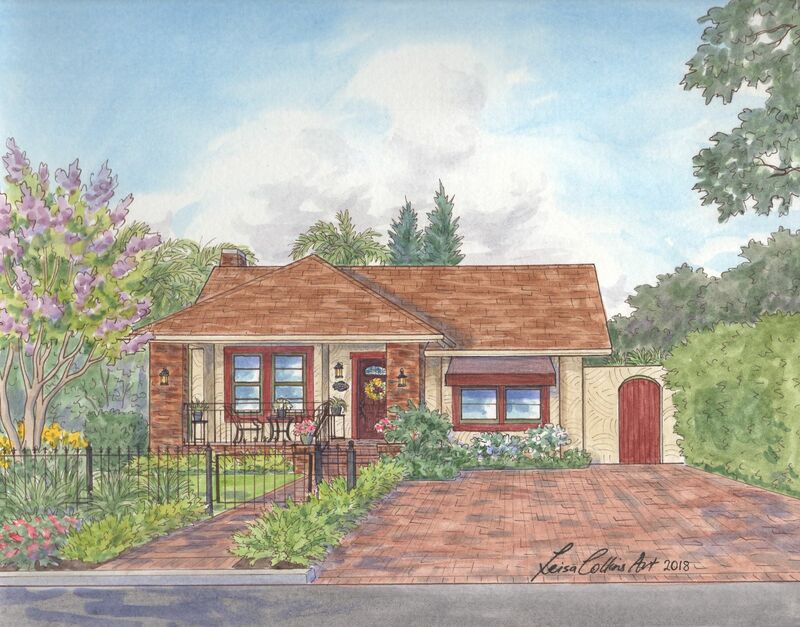 Tampa is famous for its brick roads in older areas of the city, but it is not often that you see brick driveways. 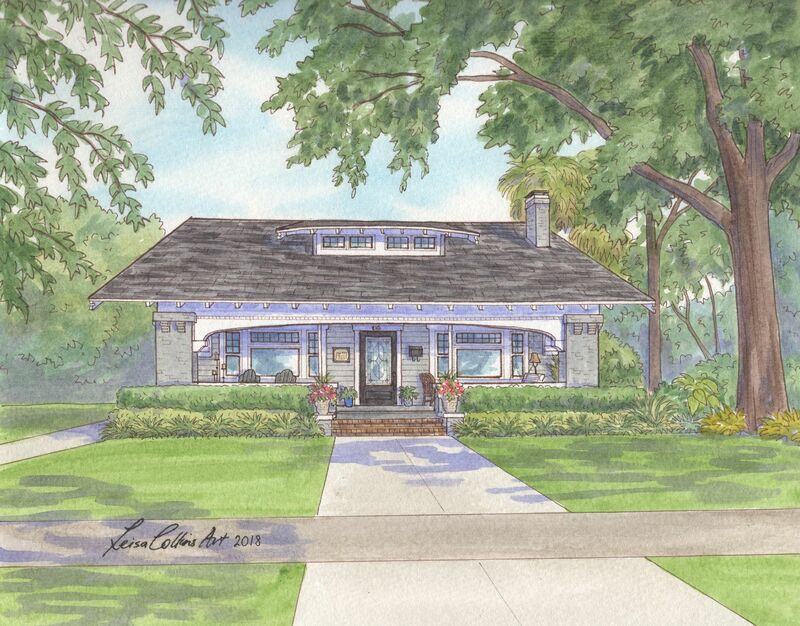 I think it adds to this Palma Ceia bungalow. 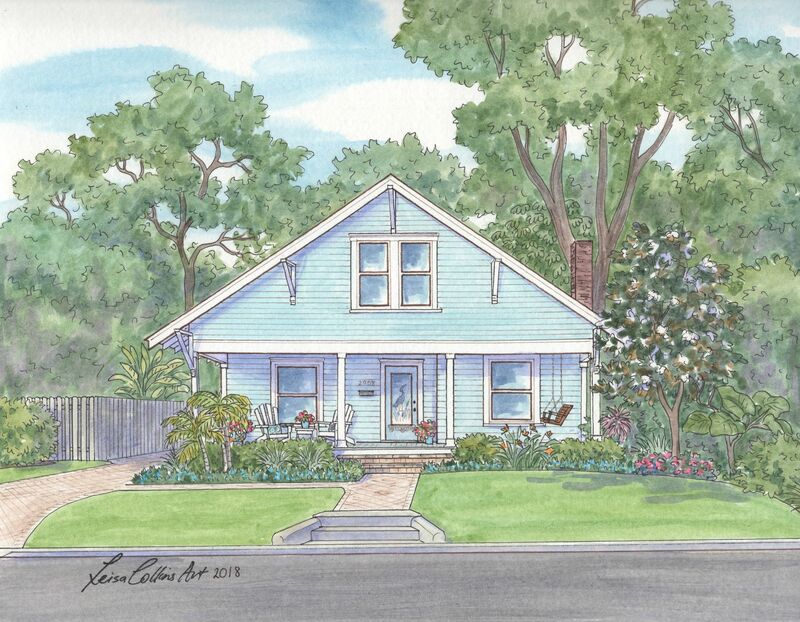 A Palma Ceia bungalow house portrait. 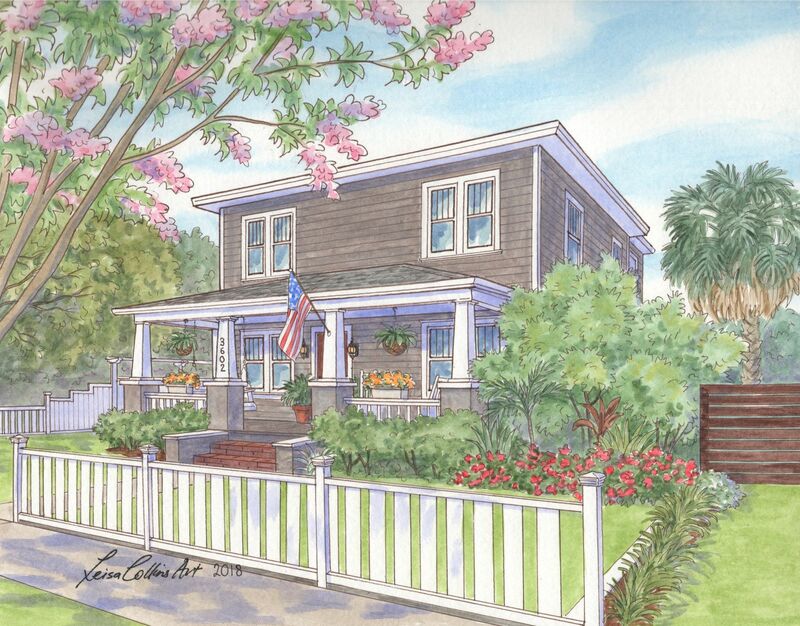 A particularly liked the fence of this Palma Ceia home. 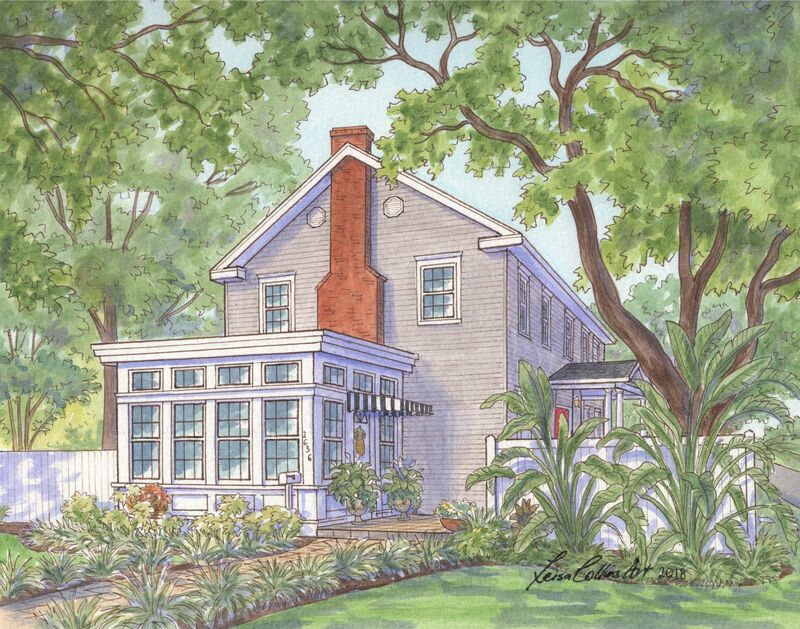 Attractive landscaping adds to this Palma Ceia home. 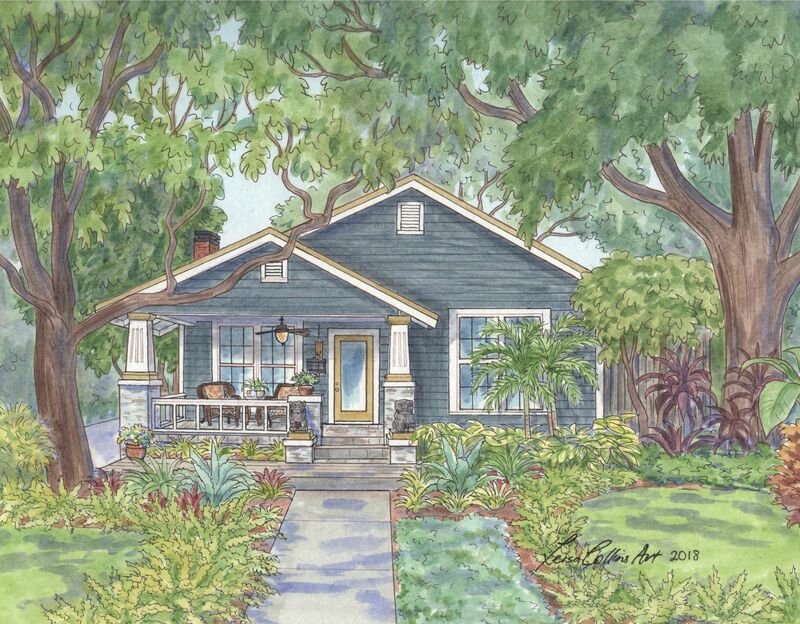 A Palma Ceia Craftsman surrounded by majestic trees and bright, Floridian flowers and shrubbery. 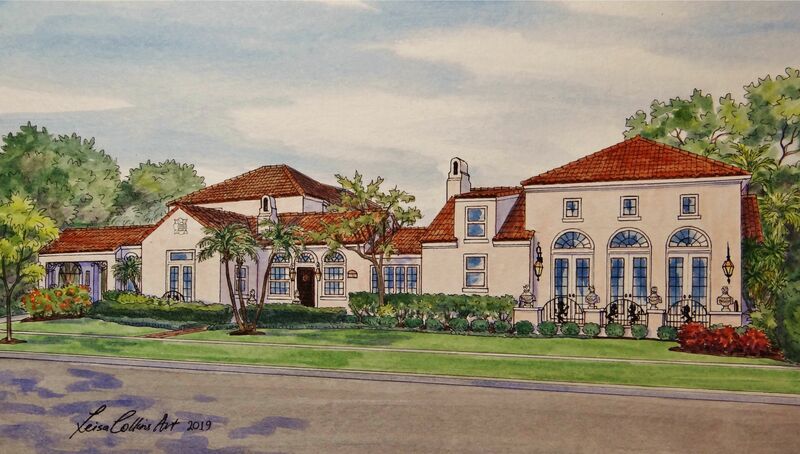 Parkland Estates is the sister neighborhood to Palma Ceia and was developed in the 1920s by Allen J. Simms, who is recognized for building the iconic Floridian Hotel. 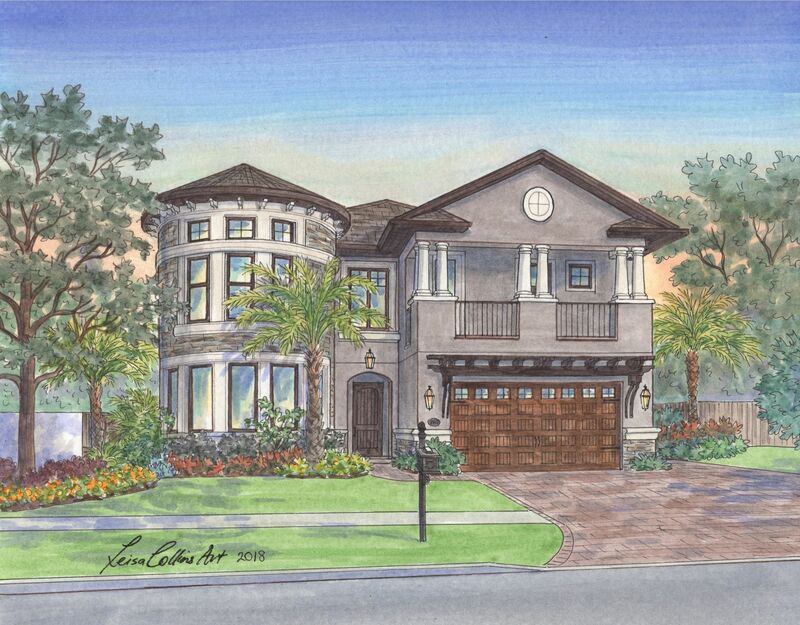 Most of the homes follow the traditional Mediterranean style that is so widely spread throughout Tampa, although newer construction gives even more diversity to the architecture. 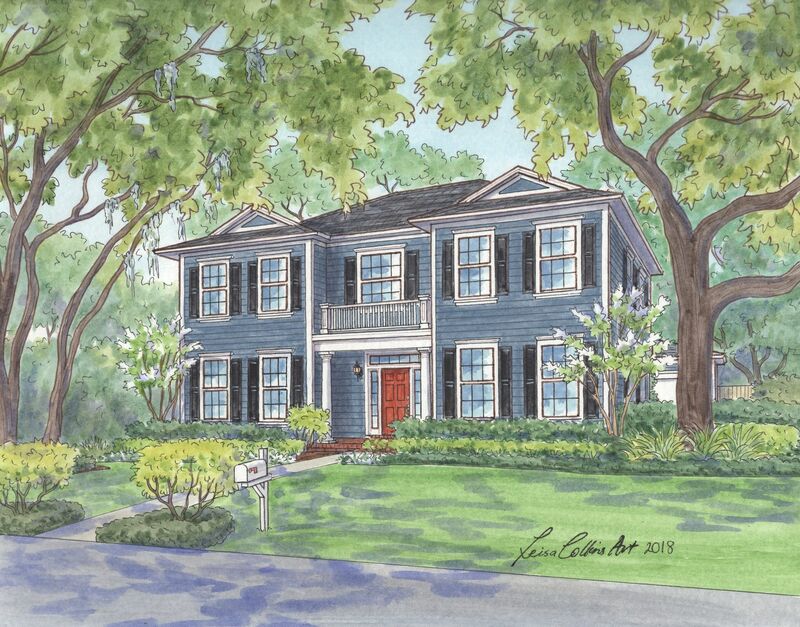 A Colonial style home in Parkland Estates. 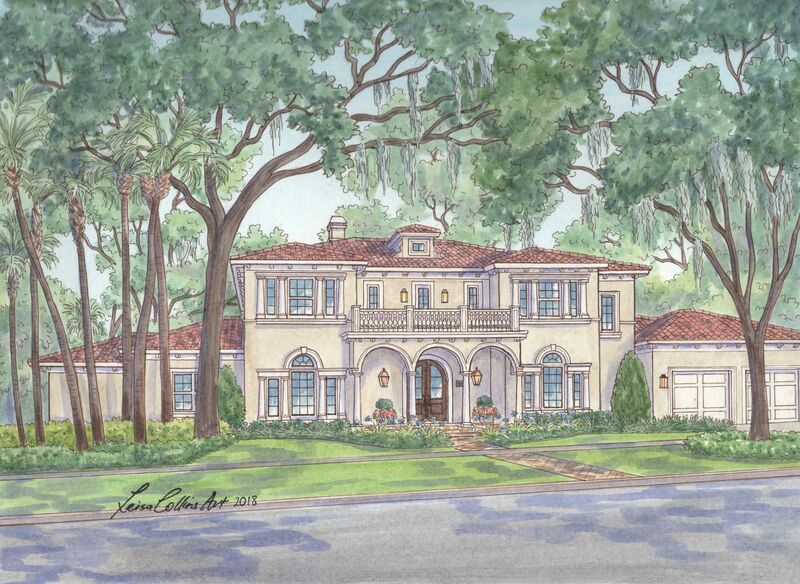 A great example of historic Mediterranean style architecture! The sun porch entryway of this Tampa home was the attraction for this selection. Another Colonial home in the Parkland Estates neighborhood. I found this neighborhood to also have a wide variety of architectural styles. It borders the Maryland Manor neighborhood, which was developed in the 1950s due to real estate demands. A Virginia Park new build. I would happily sit on that swing every day if I lived in this Virginia Park bungalow. The rocking chairs and railing match the dark trim of this Virginia Park home. 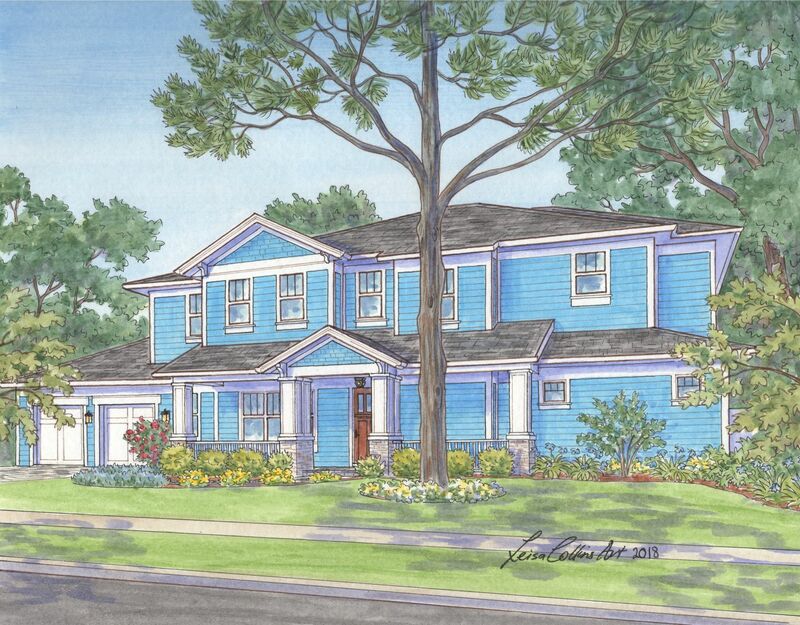 A newly built home with Craftsman style features. .
A large and well-maintained new build home. Here are a few selections from the Ridgewood Park, Riverside Heights, and Tampa Heights neighborhoods, as well as The Bunker, now a local business in colorful Ybor City. Ridgewood Park is a fun neighborhood with classic bungalow homes such as this. 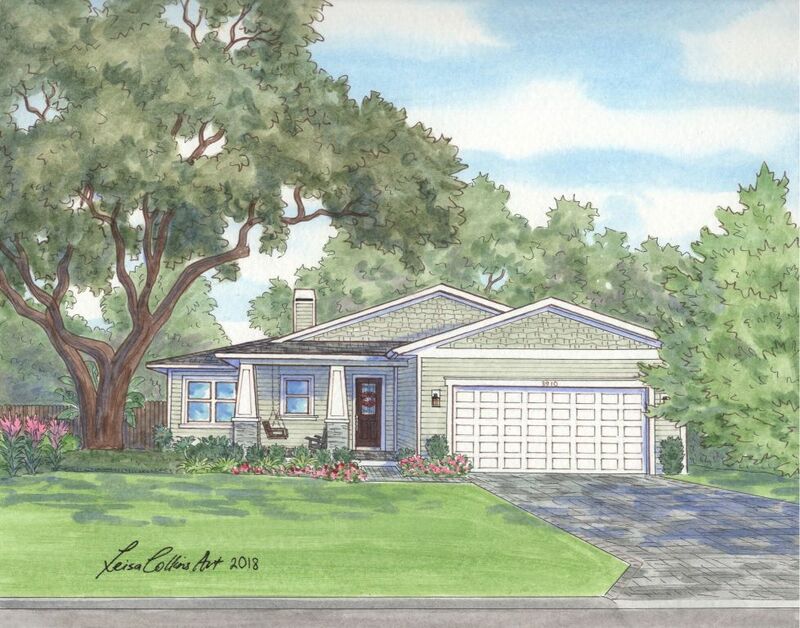 This neighborhood is sprinkled with a wide array of new builds, ranch style homes, and bungalows. 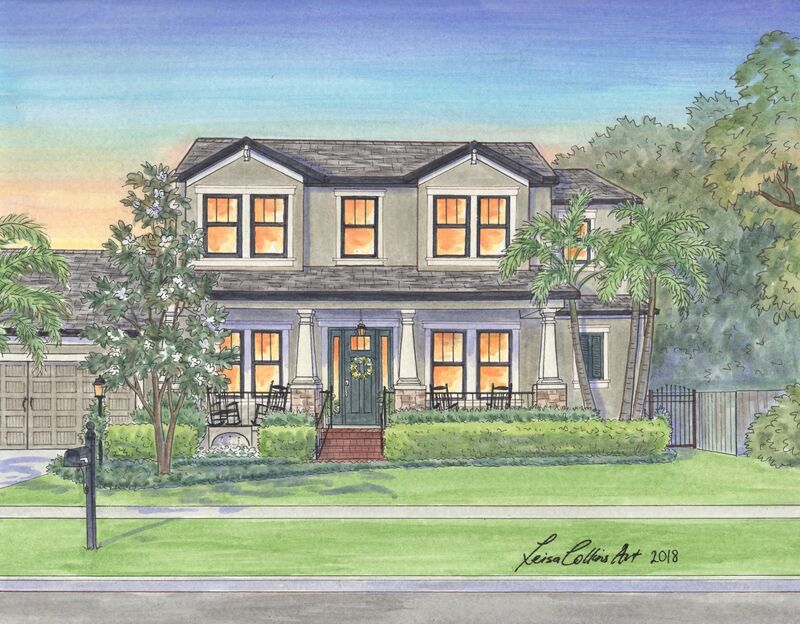 Tampa Heights is full of history, being the first developed suburb in the heart of Tampa in the 1880s. 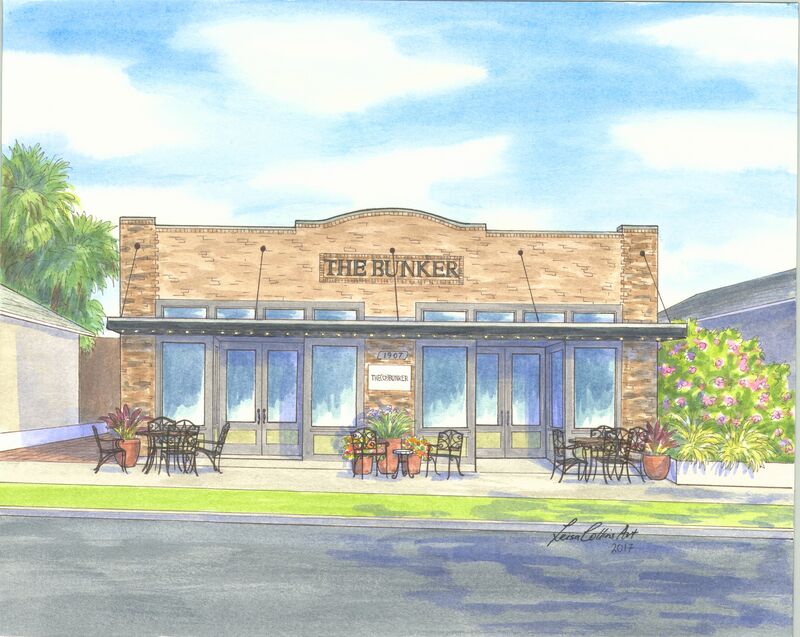 I was commissioned to create a painting of the historic “Bunker” by the developer who fully renovated it. It is now a popular restaurant and bar. 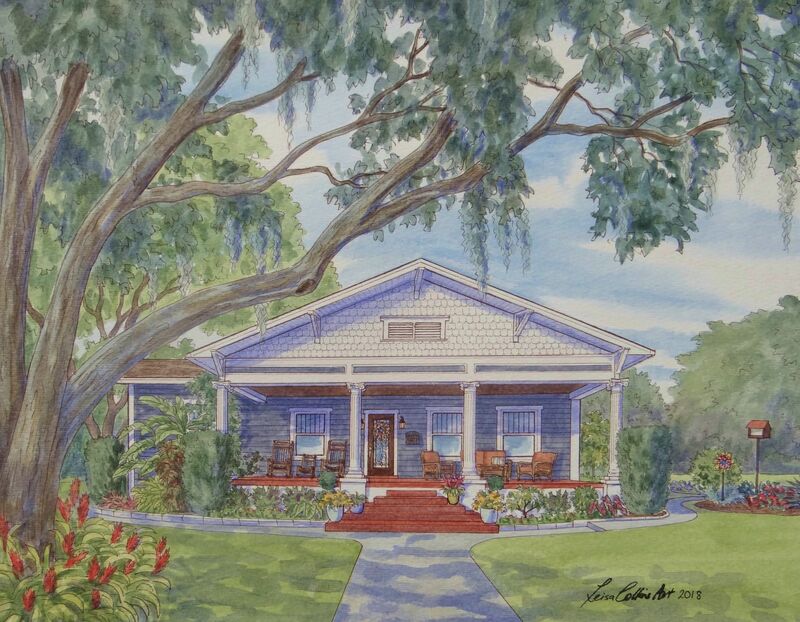 I hope you enjoyed viewing my Tampa Bay collection of homes and I look forward to releasing even more selections from across the country in my upcoming book.